It was Great to see all who stopped by! 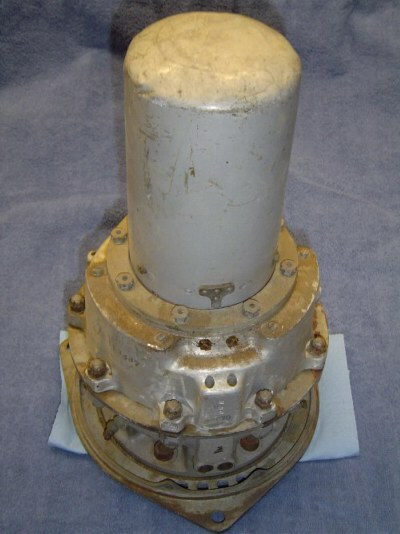 I have been converting Propeller Pitch Power Units into antenna rotators for 27 years. The first units I worked on were small ones my father, W6KUT, had in his tower. 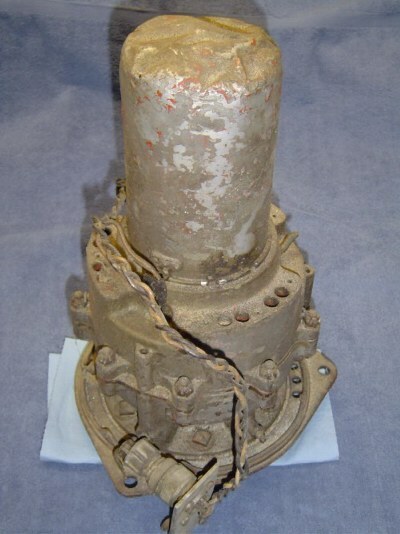 Every few years the rotator would have some kind of failure and need to be brought down and repaired. After a few of these events it became very obvious that one cannot take a prop pitch in its original state and just put it in a tower and expect it to last for very long. 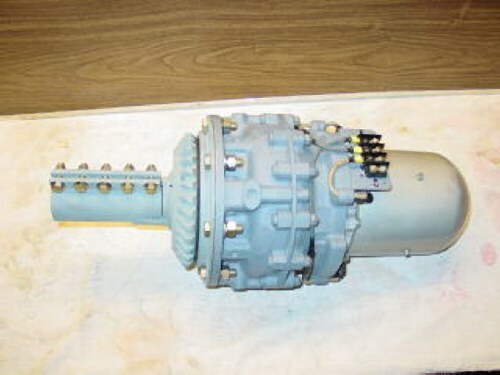 I spent a lot of time figuring out how to completely rebuild these gearboxes and motors and set them up to run reliably for long periods as antenna rotators. The last one I built for Dad has been turning his big stack for 27 years. As of the end of May 2008 I have built 81 prop pitch units into reliable antenna rotators for hams. It is a lot of work to do one properly, but it is rewarding to see them run for many years instead of being destroyed by poor construction practices and then being sent to the dump. 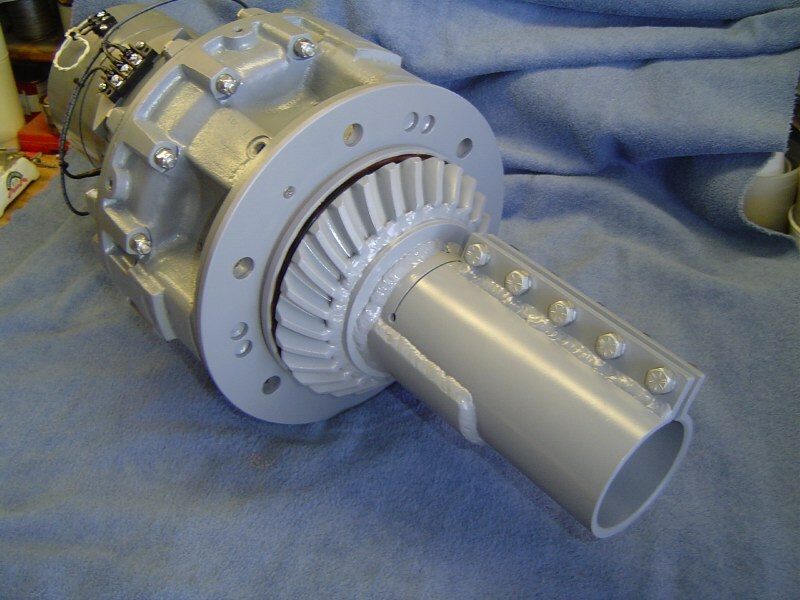 If you are interested in a very powerful rotator that will last for a long time, consider having one that is professionally done "the right way." 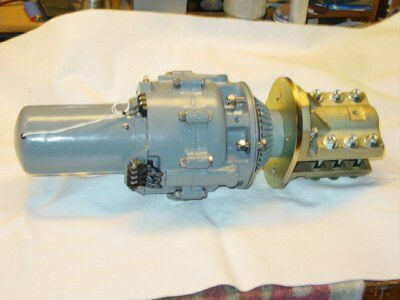 This one has a K7NV mast clamp for 2" OD masts. 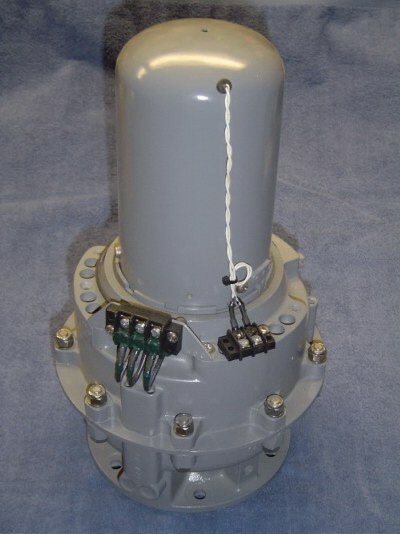 This rotator was installed in a Rohn 45G tower to turn an 80M yagi. 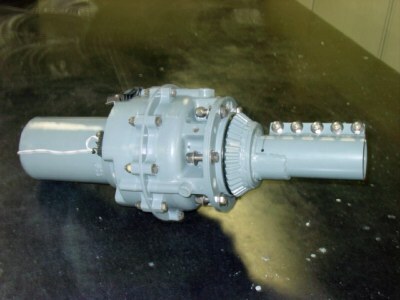 This rotator has a mast clamp for 3" OD masts. This rotator was installed in a Rohn 55G tower to turn an 80M yagi. Read the "About Prop Pitch Units" pages to become familiar with these mechanisms and their nomeclature. 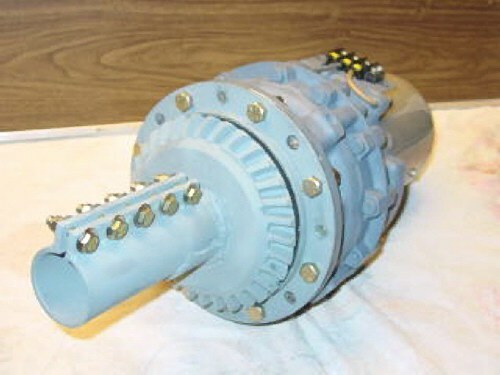 The links on the left will provide more information about K7NV Prop Pitch Rotators. Contact Us for Quotes on Complete Systems or Service Work on Your Prop Pitch.